Thinking About Taking Music Lessons in Brighton? We believe you’re on the right track! Academic and scientific research now confirms that learning music is one of the best things you can do to improve brain functionality, not to mention improvements to your mental health and overall health. Aside from learning a new skill that will bring you a lifetime of pleasure, you’ll also live a happier, healthier and more balanced life! Convinced yet? Try out your first music lesson in Brighton with us for half price! Children are fortunate to be presented with a whole host of curricular and extra-curricular opportunities in today’s Brighton. We are certain that music lessons in Brighton should be one of these essential skills offered to our young people. Nothing comes close to combining cognitive development, creativity, problem solving and emotional intelligence as taking music lessons in Brighton. However, too often, poor teaching and the more practical problems of time, place and location (issues we fully understand the importance of) mean that this vital pursuit is in decline. MusicTutors wants to arrest this decline by providing a straightforward, simple and practical solution for families: high-quality, professional and trustworthy tutors, providing music lessons in Brighton at a time and place to suit you. Wherever you are based in the UK, our expert and expanding team have all gone through a thorough recruitment and vetting process to ensure you will get the best quality, and the best possible experience. Contact one of our tutors today and you’ll receive your first music lesson in Brighton at half price! Everyday, we are privileged to hear stories from our Brighton community about plans to get into or get back into playing music. For some, before more pressing commitments, they enjoyed learning music at school and now, years later, they want to rediscover that enjoyment. Some have always dreamed of playing and now having a family means they have a reason to learn alongside! Every day we hear a story that really makes us stop and think about how deep music runs in people. The man who nearly missed his train, stopping to hear a piano being played at Waterloo concourse, promising himself there and then that he would return in the future to perform his favourite piece. The lady whose late husband was a pianist and now he’s gone can think of no finer tribute than to learn his former craft. We hear some wonderful stories, and we’re sure yours will be no different! Either get in touch with us directly so we can help you find your perfect music lessons in Brighton, or have a look for yourself at our tutors for music lessons in Brighton - simply send a message to any one of our teachers directly through their profile. We’ll send you a welcome gift of 50% off the first of your music lessons in Brighton! What do Paul McCartney, Claude Debussy, Ed Sheeran, and Herbie Hancock all have in common? They were/are always learning! Musicians are a unique species: open, humble, often self-deprecating and well aware of just how endless music is. That said, it is easy to get stuck in a rut, to always return to the same old pieces. If that sounds like you, then you need our help! Search our range of tutors and enjoy a few lessons on expanding your repertoire, learning a new style or brushing up on a technique or some theory knowledge. Learning something new is always a great refresher and our high-quality music lessons in Brighton are always personalised to you: the student. Learn what you want, when you want, at a Brighton location that suits you! The first music lesson in Brighton with your chosen tutor is half price! More so than other skills or pastimes, music lessons in Brighton are a very personal experience. It is essential to not only have a brilliant music teacher but also to have complete trust in them. 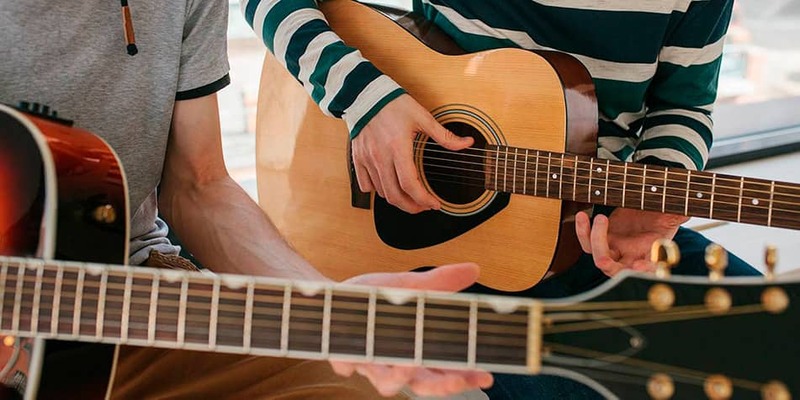 At MusicTutors, we are proud that all tutors of our music lessons in Brighton and across the UK have gone through a stringent recruitment process. All sign up to a code of conduct and all have achieved the highest level of background check available, the enhanced DBS certificate. Our music tutors deliver not only a professional service but also, crucially, a safe one. Message one of them today for 50% off the first of your music lessons in Brighton. What Instrument Will You Choose for Your Music Lessons in Brighton? Questions About Music Lessons in Brighton? 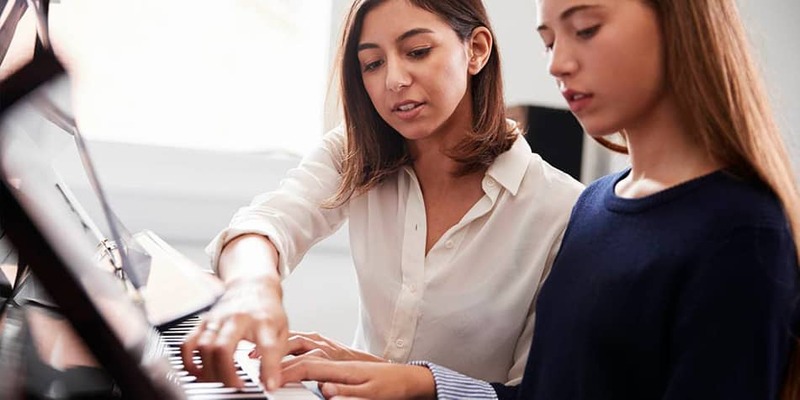 At MusicTutors, we are always on hand connecting students with their perfect tutor. If you have any questions about music lessons in Brighton, call us on 07946125613 or get in touch via email at [email protected]. The office team are all professional musicians and educators who love giving great service. Get in touch today! We are always looking for talented music tutors in Brighton and all over the UK. Think you're the right person for the job?